Dumb people doing dumb things with drones is not a new thing. 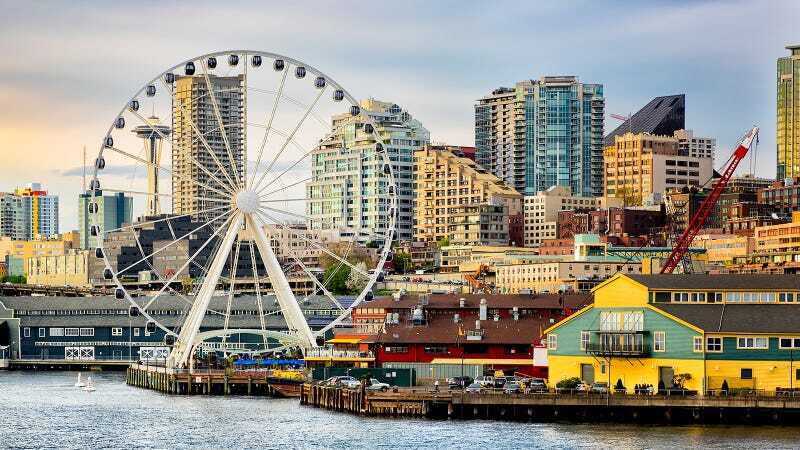 But crashing a DJI Phantom 3 into Seattle’s Great Wheel is a particular kind of dumb. According to KIRO7, the accident happened sometime Wednesday evening. The drone hit somewhere on the wheel, and landed on the patio of an adjacent restaurant. No-one was hurt, the Wheel is still open, and the police now have the rogue drone and are trying to identify the owner. This is exactly the sort of thing the proposed drone registry is meant to help with: by registering every decent-sized consumer UAV, the cops will have a much easier time tracking down the owners. But I have to wonder: if you’re stupid enough to fly a $1,400 self-stabilizing, GPS-enabled drone with a first-person view and running lights, is some vague threat of future punishment really going to stop you?